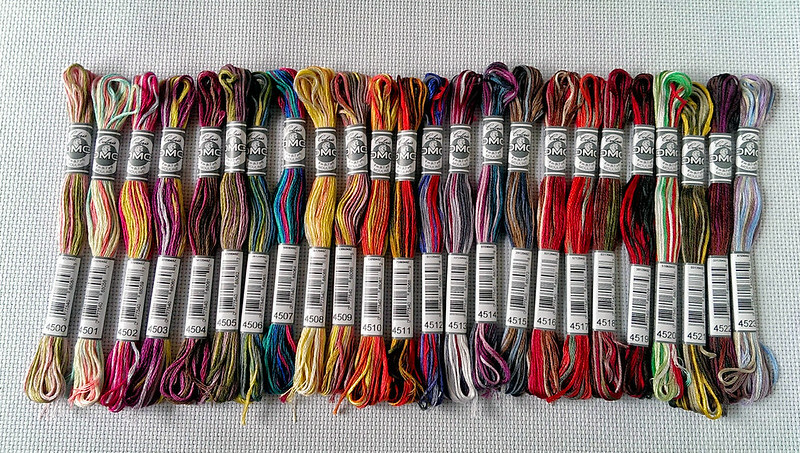 Yes, that's all 24 colors of new DMC Coloris floss. I think I took a million photos of them, then slowly moved on to crafting with them. 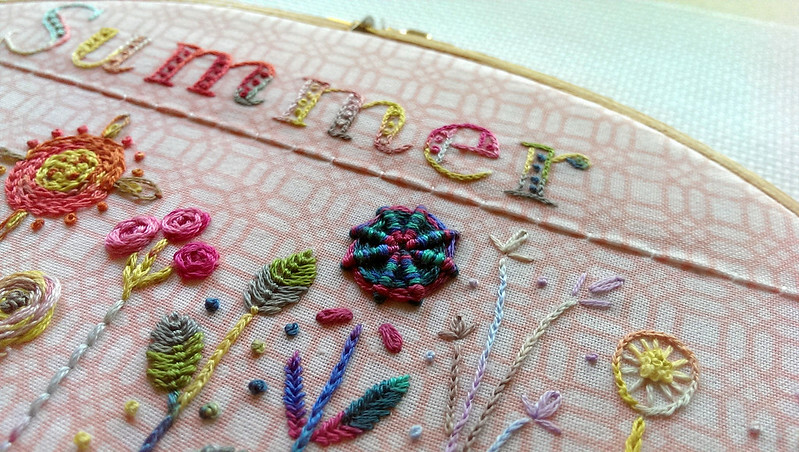 The floss is 6 strand embroidery floss, which is variegated in 4 shades of DMC colors. 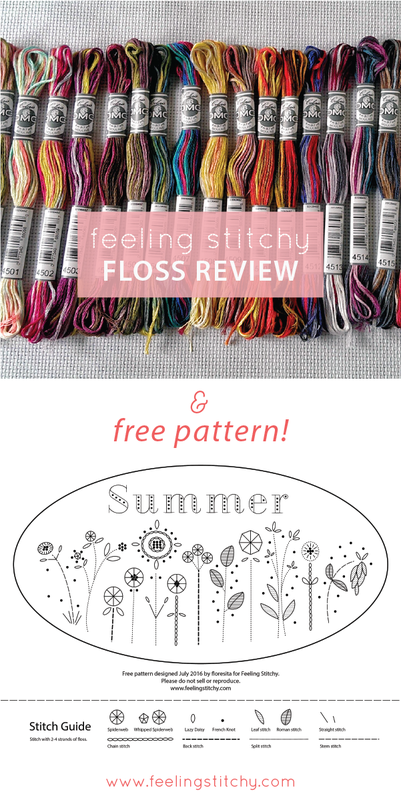 These colors are not always complementary, as in the traditional DMC variegated floss or Color Variations floss you may have used before - instead they are bright, contrasting colors that are very lively and fun. 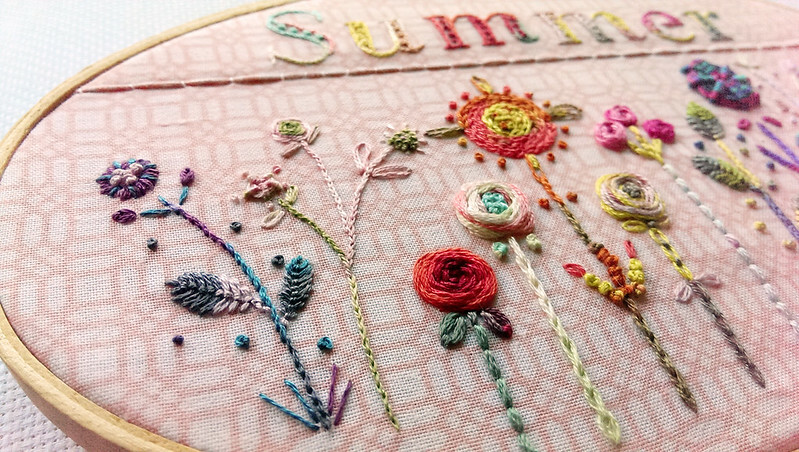 I chose 12 of my favorite Coloris shades and embroidered a small 5 x 9 in. hoop with a design I made up as I went along. I used 2-4 strands of floss, using as many stitches as I felt like experimenting with. 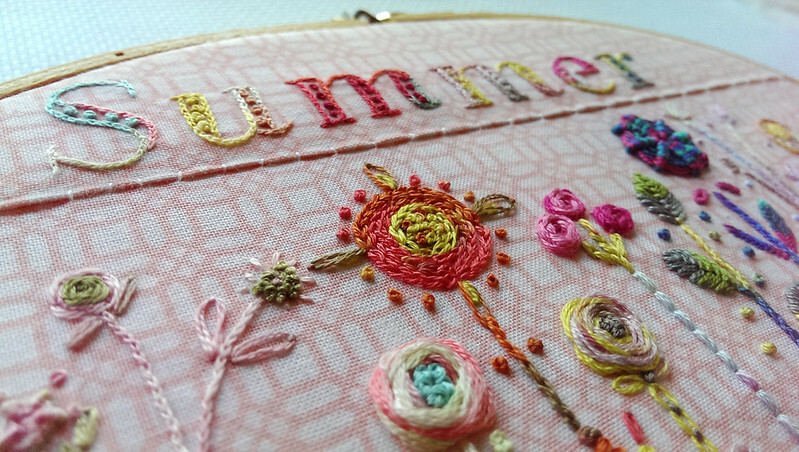 For the lettering, I traced a free font I found online and used 2 strands of floss to do a tiny split stitch. 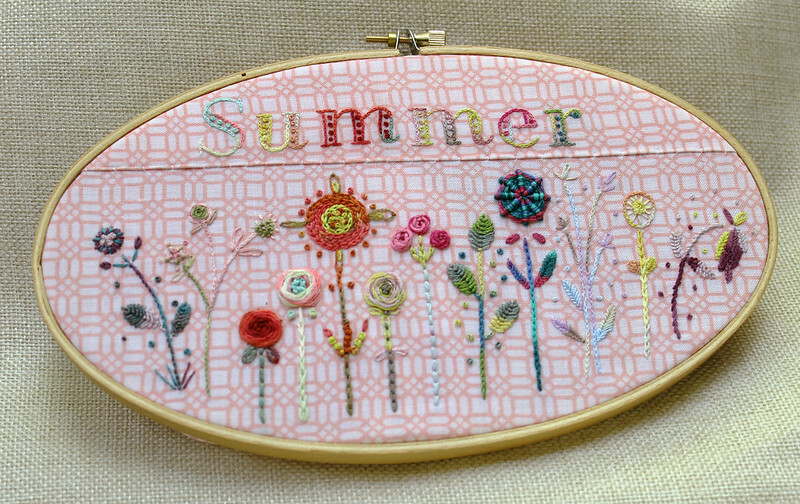 Here is the final design - it's a bit wonky, but lots of fun to stitch. Some colors show up better than others on the pink quilting fabric I chose, but it was mainly a learning exercise for me. Edit: I was asked which colors I used in my hoop, so I'll list them for you, from left to right. 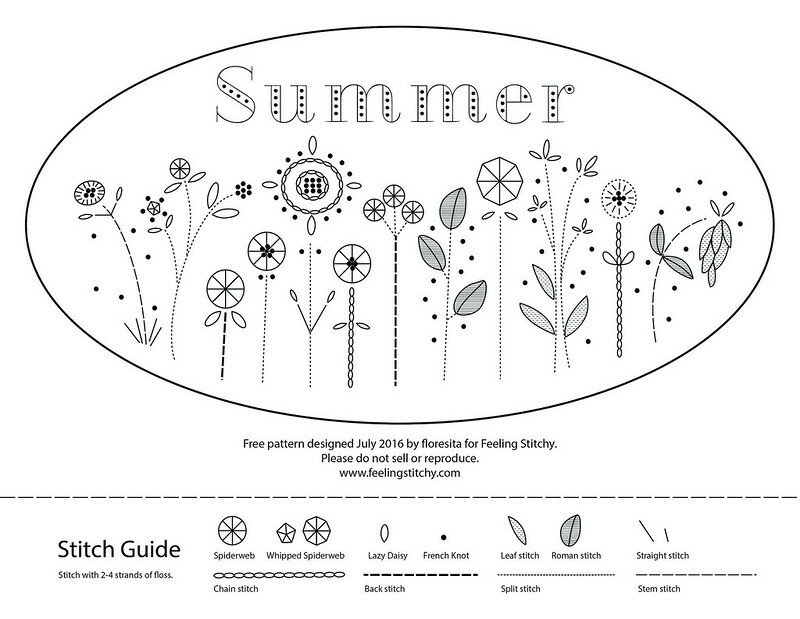 Here's a free pattern I made, if you'd like to stitch along with me! I tried to mark all the stitches I used, but feel free to do your own thing! If you print the design on 8 1/2 x 11 paper it "should" fit into a 5x9 in. hoop, but I'd test it out first to be sure. I would definitely recommend giving DMC Coloris floss a try - it gives a lovely pop of color to even a basic project like mine. That's my two cents, and thanks again to DMC for sending this floss to me to try out! What do YOU think of DMC Coloris floss? Have you seen it in your local stores? 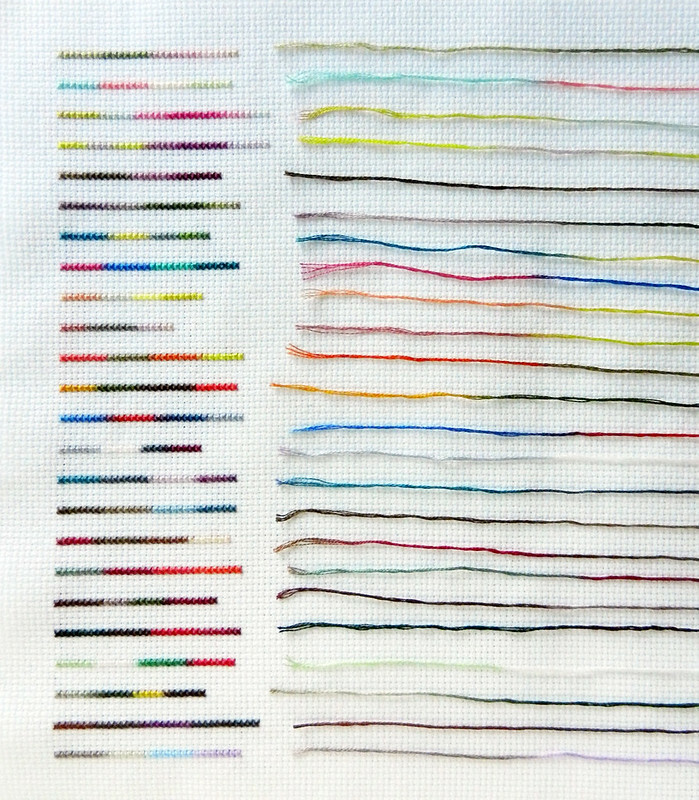 What kind of project would you stitch with it?